Rosemary Gousman is the managing partner of the firm's New Jersey office and has devoted her extensive career to the practice of labor and employment law. Rosemary’s diverse practice includes both litigation and counseling of employers. 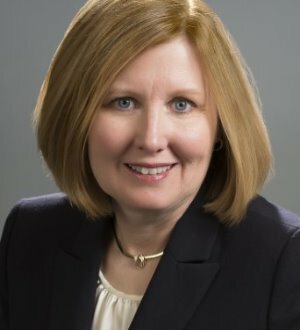 She litigates cases involving discrimination, wrongful discharge, whistleblower claims, wage and hour laws, common law contract and tort claims, traditional labor law involving union-management relations, and employee benefits disputes. Rosemary has significant trial experience in bench and jury trials, as well as arbitration proceedings, including Financial Industry Regulatory Authority (FINRA). She has appeared before a variety state and federal administrative agencies. Along with her litigation work, Rosemary counsels clients on the appropriate handling of disciplinary matters, employee terminations, compliance with employment statutes and state and federal regulations dealing with harassment and discrimination, wages and leaves of absence. She regularly advises employers on employment contracts and corporate policies on wide-ranging topics such as performance management, discrimination and harassment complaints, disability and Family and Medical Leave Act (FMLA) leave management, pre-employment screening, and reductions in force. Rosemary has served as lead counsel on a number of jury trials, and has obtained summary judgment in a number of discrimination, retaliation, public policy and common law claims in favor of her clients. Rosemary lectures frequently on various topics in employment law, including discrimination, sexual harassment, Americans with Disabilities Act (ADA), Family and Medical Leave Act (FMLA), internal and Equal Employment Opportunity Commission (EEOC) investigations, and workplace privacy and social media both for her clients, attorneys, and industry groups.